The next day was warmer: minus five instead of minus eight. But the sun had disappeared behind thick cloud and the resulting gloom did not compel me to rush outdoors. So I lingered over a second cappuccino in the breakfast room while listening to classical music and and poring over the stash of design books, maps, and travel brochures made available to guests. Sofie and another woman came in and we chatted about the flea market and antique stalls in the nearby Marolles district. And this is why I prefer B&B’s to hotels; it’s like being in someone’s home….well, you are in someone’s home. The service is more personalized, you can pick up interesting tidbits of local information and when the place has more guests in it than yourself, cross paths with like-minded travellers. 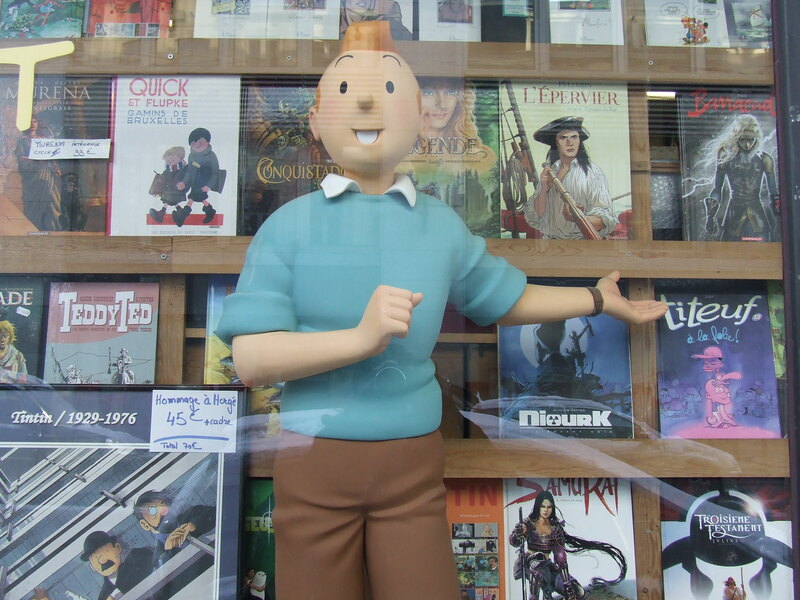 The above photograph, for those who don’t recognize Tintin, was taken in the window of a comic book shop. Comic books are big in Belgium. The Adventures of Tintin sells more than a million copies a year worldwide and is translated into more than 50 languages. Tintin is a Belgian reporter aided in his adventures by faithful dog Snowy (called Milou in the French edition.) Every year Brussels hosts a Comic Book Festival where enormous balloon characters parade down the main streets. On my last day in this lovely city I decided to wander further afield and visit the new Magritte museum and the adjoining Musée des Beaux Arts. There was also a lamp I wanted to buy. I spotted it, late yesterday afternoon, in the window of an interior design shop. It spoke to me. I’m a bit of a lamp fetishist, I’m afraid. I don’t really need another lamp, but this one is quite unique. Last year I completely redecorated my flat in Paris. Everything is white. White lacquer furniture, white curtains, white laminate flooring, white and pale gray walls. 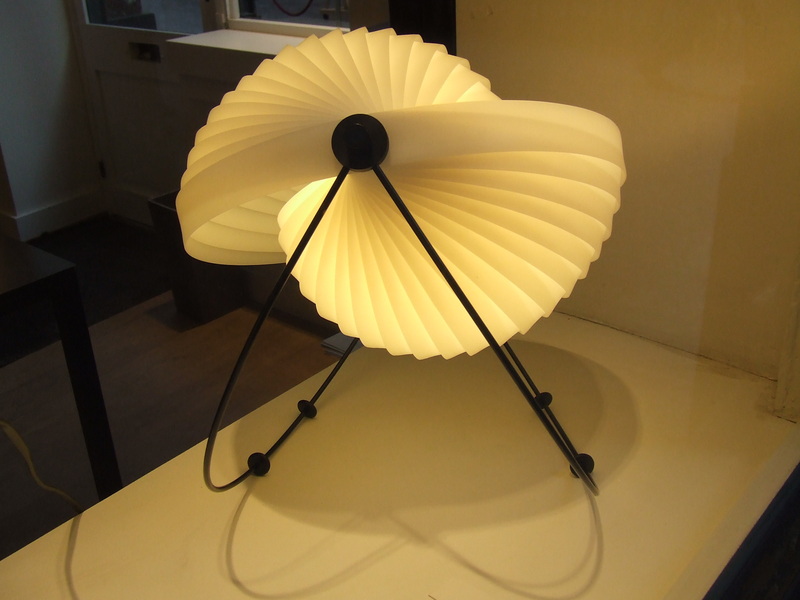 And this lamp, in the form of a shell, will be perfect on my credenza. And then, sadly, it was time to return to Paris. I reluctantly made my way back to the B&B. 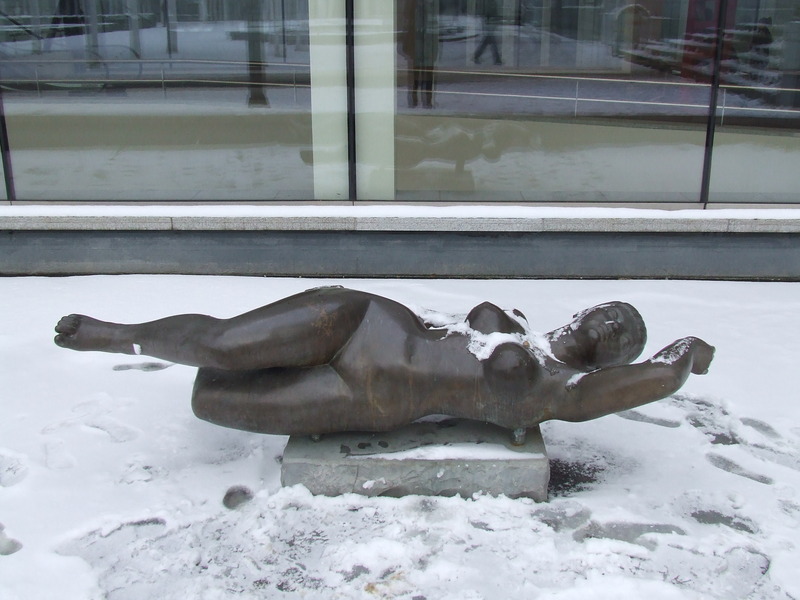 I didn’t have time to visit the Musée des Beaux Arts, nor a dozen other places of interest on my list. Collecting my belongings from the B&B, I walked the short distance to the train station only to learn that the train was delayed again due to weather conditions. I bought a hot chocolate and a waffle in the food court. I think I gained a few kilos which isn’t surprising considering I subsisted primarily on chocolate, fries, waffles and beer for two days. Once we got underway, the trip back to Paris was comfortable and speedy, just over an hour. 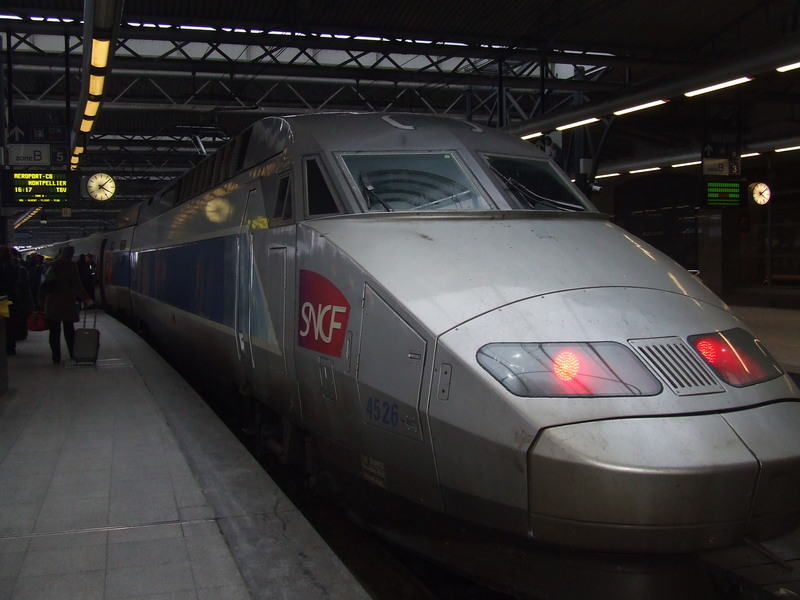 Service on that route is operated by Thalys, the high-speed train operator jointly owned by French, German and Belgian national railways. 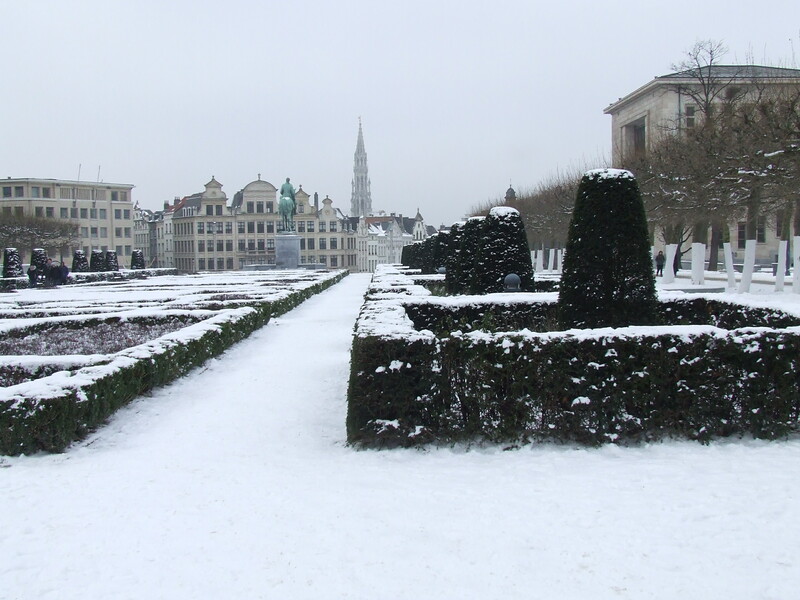 I’ll definitely return to Brussels. So what took me so long to discover the place? I guess I was busy discovering other places. What I particularly like about this city is its eclecticism – the blend of different styles and vibes ranging from Baroque to Art Nouveau, old-world to avant-garde, rebellious to conformist, flamboyant to austere, all with an underlying quirkiness. The next day was warmer: minus five instead of minus eight. But the sun had disappeared behind thick cloud and the resulting gloom did not compel me to rush outdoors. So I lingered over a second cappuccino in the breakfast room while listening to classical music and and poring over the stash of design books, maps, and travel brochures made available to guests. There’s also a DVD collection. (All rooms have a DVD player hooked up to a flatscreen TV.) Sofie and another woman came in and we chatted about the flea market and antique stalls in nearby funky Marolles. 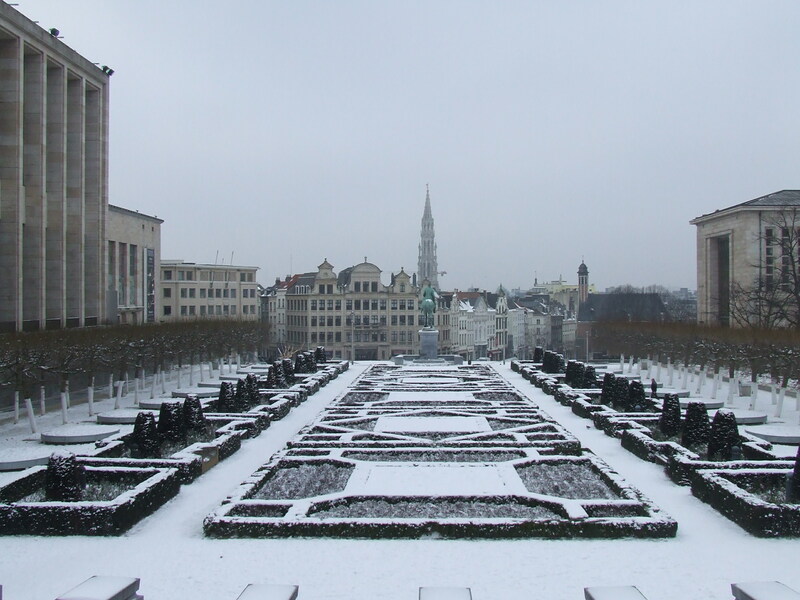 I’ll visit it the next time I’m in Brussels, I said, when the weather’s warmer and more conducive to strolling. And this is why I like staying in B&B’s as opposed to hotels; it’s like being in someone’s home….well, you are in someone’s home. The service is more personalized, you can pick up interesting tidbits of local information and, when the place has more guests in it than yourself, cross paths with like-minded travellers. The above photograph, by the way, for those who don’t recognize Tintin, was taken in the window of a comic book shop. Comic books are big in Belgium. The Adventures of Tintin sells more than a million copies a year worldwide and is translated into more than 50 languages. Tintin is a young Belgian reporter who is aided in his adventures by faithful dog Snowy (called Milou in the French edition.) Every year there’s a Comic Book Festival where enormous balloon characters parade down the main streets of Brussels. 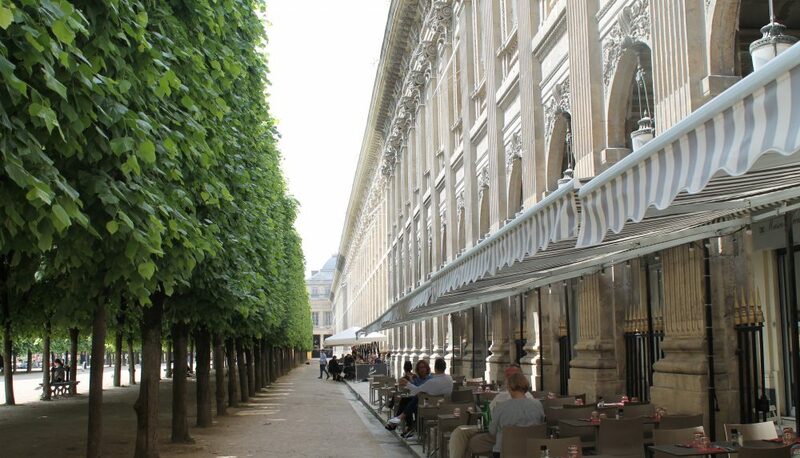 On my last day in this lovely city I would wander further afield and visit the new Magritte museum and the adjoining Musée des Beaux Arts. There was also a lamp I wanted to buy. I spotted it, late yesterday afternoon, in the window of an interior design shop. It spoke to me. I’m a bit of a lamp fetishist, I’m afraid. I don’t really need another lamp, but this one is quite unique. Last year I completely redecorated my flat in Paris. Everything is white. 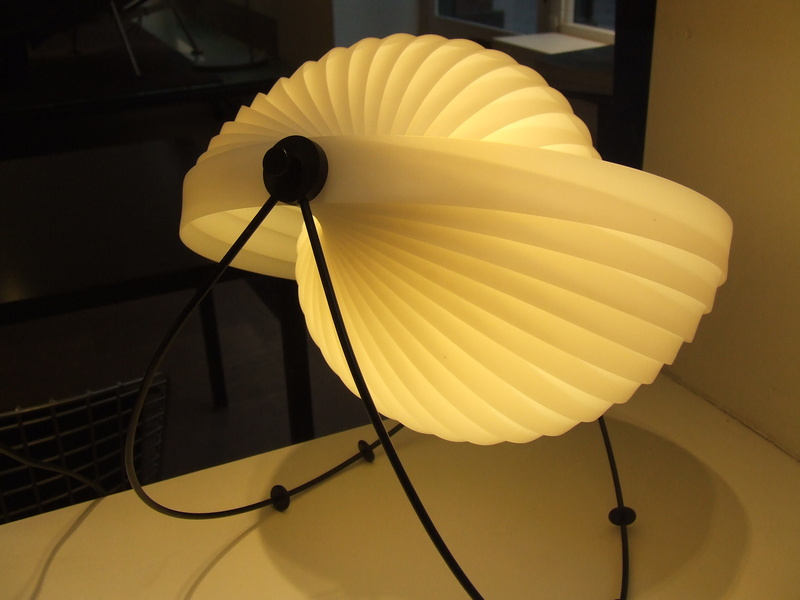 White lacquer furniture, white curtains, white laminate flooring, white and pale gray walls….this lamp, in the form of a shell, will be perfect on my credenza. Alas, it was time to return to Paris. I reluctantly made my way back to the B&B. 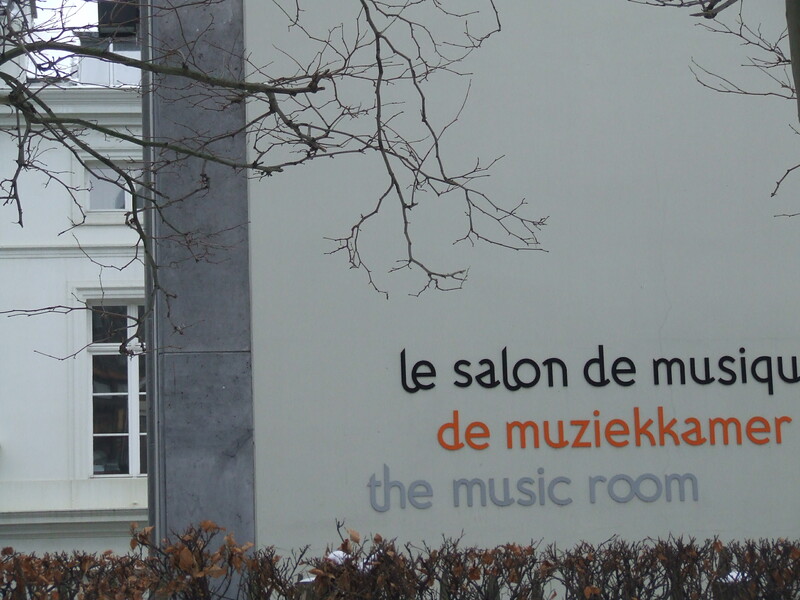 I didn’t have time to visit the Musée des Beaux Arts, nor a dozen other places of interest on my list. Collecting my belongings from the Sweet Brussels B&B, I walked the short distance to the train station only to learn that the train was delayed due to weather conditions. I bought a hot chocolate and a waffle in the food court. I think I gained a few kilos which isn’t surprising considering I subsisted primarily on chocolate, fries, waffles and beer for two days. Once we got underway, the trip back to Paris was comfortable and speedy, just over an hour. 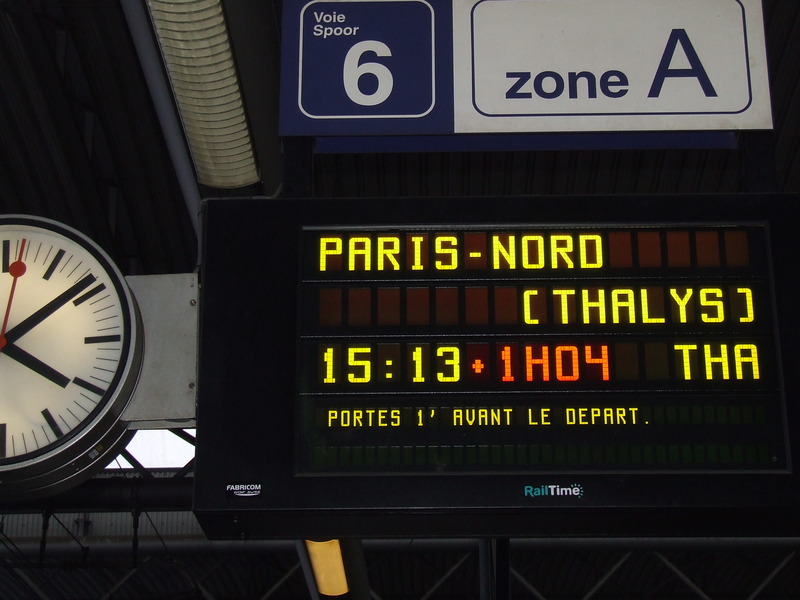 Service on that route is operated by Thalys, the high-speed train operator jointly owned by French, German and Belgian national railways. 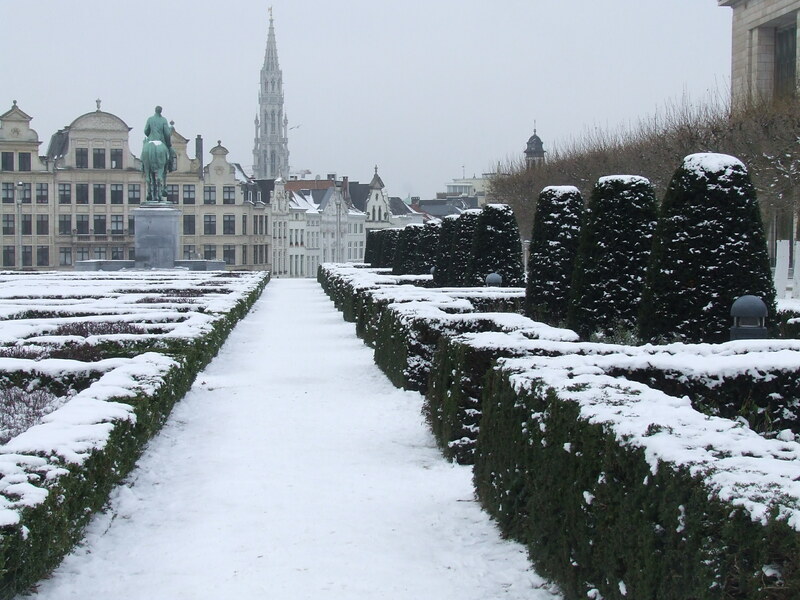 I’ll definitely return to Brussels. What took me so long to discover the place?? I guess I was busy visiting other places. What I particularly like about the city is its eclecticism – the blend of different styles and vibes ranging from Baroque to Art Nouveau, old-world to avant-garde, rebellious to conformist, flamboyant to austere, all with an underlying quirkiness.